When one is young, there is idealism and you feel that things can change. You hope that society will move forward, we will learn from our failures in the past and that there will be progress, believing that the new leaders will devote themselves to welfare of people and development of the country. But as years go, you realise that nothing of that sort is going to happen. Everyone who comes with the promise of revolution, is playing the same old game. People will continue to be exploited in the name of religion and rhetoric is just a tool to cheat the masses, who themselves seem eager to be cheated. In childhood, I too hoped that one day religious discrimination, casteist oppression and capitalist divides would become end, or at least the dividing lines would become so thin that they would become invisible. But, what fools we are when are young. My moment of reckoning was in 1992. It was not the demolition of Babri Masjid but slightly later. When the mosque was demolished, Prime Minister came on national TV, said that the mosque would be rebuilt. There was still a feeling of shock in the entire country. One could never believe that a Prime Minister could lie or make a false promise in front of entire nation. 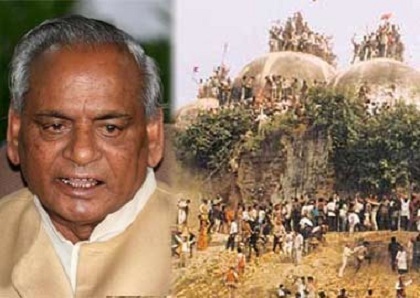 And Kalyan Singh, the chief minister of UP, who had given an undertaking that mosque would not be harmed, had presided over the demolition. 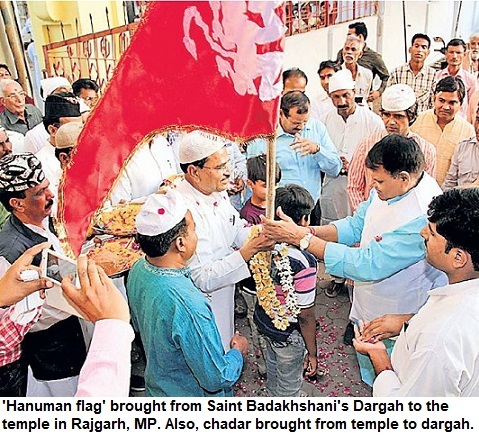 Then, the Supreme Court, in a its judgment, awarded Kalyan Singh, just ONE DAY imprisonment, a symbolic sazaa! Then, comes the realisation how politicians, bureaucrats and the judiciary--there is no institution that would come to the aid, even in the gravest situations facing the nation. Some may work against the nation but will be awarded certificate of nationalism. Some may work for nation but would be dubbed 'anti-national'. It keep happening in our democracy all the while. Rajiv Gandhi looked sophisticated and seemed to have a vision for the country. But his party's goons were involved in killing of Sikhs. The role of Chief Minister Sudhakar Rao Naik in Mumbai riots when Shiv Sainiks were allowed free run, is just one of the examples. Naik faced no case or punishment. Congress devised a perfect system--instituting Commissions that was a way to give a quiet burial to issues without any action. Regarding the role of BJP, the lesser said, the better it is. It isn't that one would totally lose all hopes. We all have to fight and resist and use constitutional methods. But once you know the reality, it's always good. How the 'system' works--always in favour of the powerful and against the weak. The early we realise it, the better it is.